On April 26, 2018, the third anniversary of the 2015 Nepal earthquake was held in Shree Phulchoki Secondary School in Kathmandu valley. 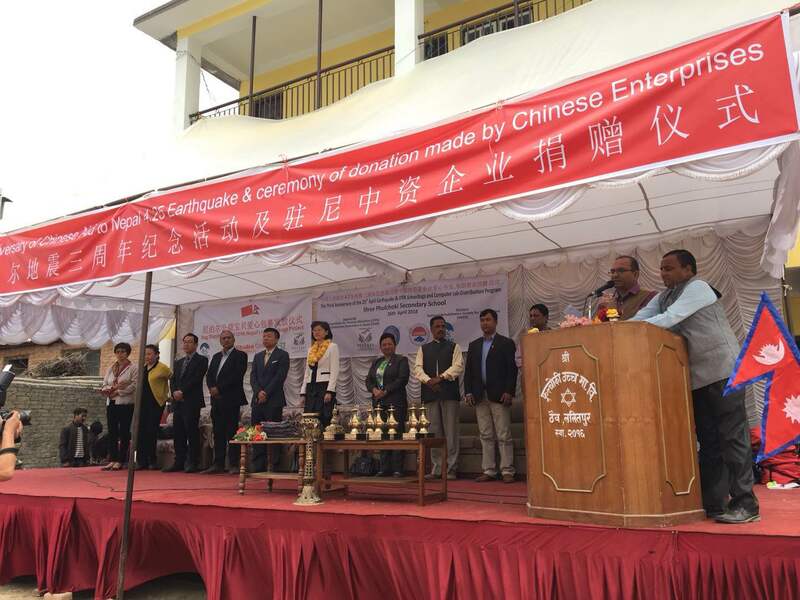 The Chinese Embassy in Nepal, the Chinese companies’ association, representatives from the school participated in the ceremony. Shree Phulchoki Secondary School is a very famous school which was founded in litipur in 1959, and 90% of the school buildings were destroyed in the 2015 earthquake. 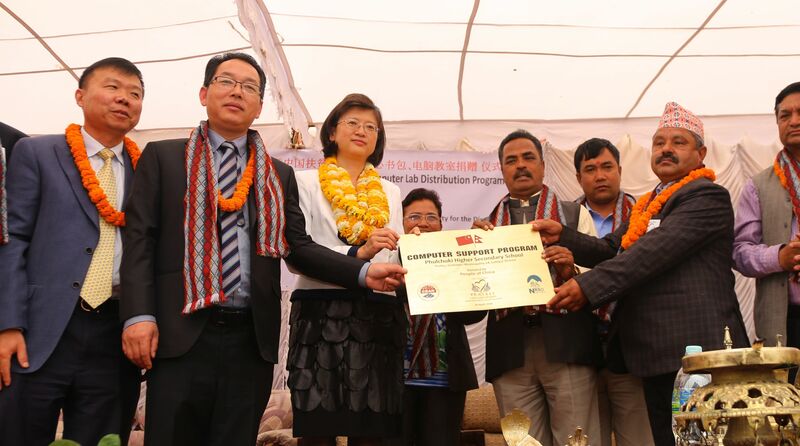 Under CFPA's advocacy, Chinese companies in Nepal donated a computer lab to the school. More than 400 schoolbags funded via Alipay platforms were also distributed to the students. Her Excellency, the Chinese Ambassador Ms. Yu Hong, gave a speech at the ceremony. "22 Chinese INGOs came to Nepal for emergency relief after the earthquake. China Foundation for Poverty Alleviation is not only involved in the relief work, it is also the first Chinese NGO that registered to work in Nepal, carrying out projects in health, education and community development. Ms. Pumpha Bhusal, Member of Parliament in Nepal, thanked the Chinese government and Chinese people for the great support after the earthquake. "China offers assistance from the emergency relief stage to the post-disaster recovery stage, which deepens the friendship between the two countries. Nepalese people will never forget that." Mr. Wang Ziyang, the president of China Enterprise Association in Nepal, introduced the involvement of Chinese companies after the earthquake, including life relief, material distribution, clean drinking water distribution, orphan rescue, and Nepalese employees' family assistance. Ms. Zou Zhiqiang, Country Director of CFPA's Nepal Office, reported at this ceremony: CFPA is signing a 2018 to 2020 three-year plan with Social Welfare Council, which involves five projects in three areas: education, microfinance, and career training.